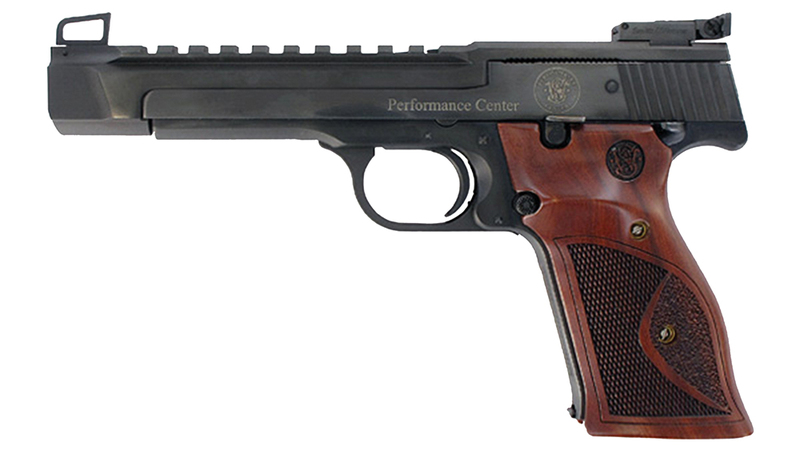 For competitive target shooting or other recreational purposes, there's no better choice than Smith & Wesson's classic Model 41. Known for superior performance and accuracy, this rimfire pistols is available in 5.5" barrel with an integral picatinny-style rail. Custom wood target grips complete the look for fierce competition backed up by acute precision. It has a removeable, undercut patridge front sight and micrometer click-adjustable target rear sight. The frame of this 41 features a switch barrel design to also allow the 7" barrel.